Ant’s had a few health problems this week so he’s not been working in the garden much. He’s had a few days rest and was able to get some small jobs done yesterday. He was working on the steps earlier in the week until his health problems started. They’re very small steps so that Granddad can get up to the grass easier. He’s not as steady on his legs as he used to be. They might be finished by the next garden update. He’s also going to add a rail to make them even safer for Granddad. My lilies have opened which pleased me immensely. I usually have them each side of the patio door but it’s a mess on the patio at the moment. They’re at the top of the garden. I totally forgot about them and was delighted when I saw them in full glory! Ant’s been working on it every spare moment he had. He’s had to go to B&Q numerous times to buy more sand (he couldn’t buy it all in one go because he didn’t want to overload the car). It took more sand than expected. That was because in between digging out the area and laying the slabs, we’ve had some torrential rain. It made the area much lower than Ant originally intended. He ended up having to put back some of the soil he’d dug out! The bricks on the worktop are to hold the BBQ. He’s taking it off the legs and securing it on the bricks. The gas BBQ is going in the big space. We’ll be using the spaces underneath to store things like charcoal and wood. When this area is done, our next job is to hire a skip and get rid of the mountain of junk in the garden, in the sheds and in the greenhouse. Just getting rid of the rubbish is going to make a massive difference to the garden. A few weeks ago, when we had a heatwave, we appealed for help in the garden from the family. They didn’t disappoint; we had a great day and they got loads of gardening done. Ant’s been trying to build his wall for the outdoor kitchen he’s planning but it’s been taking him ages. Time and the weather have been against him so we appealed for help again once we knew the weather was going to get better. Last week we had days of rain but the weekend looked promising so we planned another barbeque. The guys did a brilliant job mixing the mortar for the wall and in between mixes, clearing the brambles and butterfly bushes at the top of the garden. I have to admit I was tempted to leave the bramble once I saw the number of berries that were growing on it. I didn’t want an even bigger job to do in the autumn when the berries were done. I had to nip out and buy a strimmer and a lawnmower. The strimmer we have was too small and we didn’t have a lawnmower. The grass was knee high and had started going to seed, it had been that long since it had been cut! Now all I have to do is find a way t get rid of all the brambles and butterfly bushes that have been cut down. The pile is bigger than the trees were! Talking of fruit trees, the apple tree has more fruit on than I expected after having such a small amount of blossom this year. He didn’t get a pizza peel but I’m so glad we went because sitting outside the front entrance was a patio kit for £99.99. We’ve been looking at all the different options for the new patio, including fake grass and decking but as soon as I saw the patio pavers kit, I knew it was what I wanted. It was cheaper than any others we’d looked at places like B&Q and I loved the pattern. Ant wanted red pavers ideally because he loves the Spanish-style patios. He had to make 2 trips to collect all the pavers. They would have exceeded the maximum weight for the car if he’d tried to bring them all at once. I now have to tell you about this website I came across after we’d bought the pavers from The Range. It’s called Turnbull & Co and they specialise in garden paving and garden furniture. I looked on the site at first to check out the furniture for the new patio. While there I thought I’d have a quick look at the paving. My heart sank when I saw some red pavers, exactly like the ones Ant would have preferred and what makes it worse is that they were cheaper per square metre than the ones we bought at The Range. So my little bit of friendly advice is to make sure you’ve done all your research before you splash the cash! Even with the delivery charge, we would have paid about the same and Ant would have had his red patio. I do love the ones we’ve picked but I’d have been just as happy with the red ones. We haven’t decided exactly how the cooking area is going to be arranged on the new patio yet so we’re not sure what space is going to be left for patio furniture. I don’t know if we’re going to have a table set with chairs and benches or a rattan sofa and chairs set with a little coffee table. While having a wander around the garden I was shocked to realise how overgrown it really is at the top. The brambles and butterfly bushes have taken over, making it virtually impossible to do anything up there. It’s unrecognisable from the way it was when we moved in. I cheered up when I saw lots of apples growing on our lovely tree and some lily flowers that had opened. I’d totally forgotten that I’d planted them. The plan, initially, was to dig a small strip at the front of the raised bed and plant some spring and summer bulbs in there. We have 2 stone planters next to the steps that take you onto the grass. These had to be moved because of the new patio we’re creating. Ant’s going to be changing the steps and the planters wouldn’t look right when it’s all done. He suggested putting them in front of the raised bed. After some discussion, we had the idea of making a small border and planting more succulents instead of bulbs. It was going to be level with the grass and edged with some log roll we had left from the pond area. When we measured it, though, we didn’t have enough log roll left so we went to Poundstretcher to buy another roll. Once there I saw some log border fencing that I liked better than the log roll. It was the same price as the log roll but it cost more because we needed 3 instead of 1. We could have gone with the cheaper option we figured the fence posts would be sturdier. The succulents were a bargain find at Asda. My new addition – a mini raised bed in front of the raised bed! All we need now is for the grass to grow back after it got damaged with the swimming pool being there last year! It’s taken about a month to build it, fill it and plant it. It’s had to be fitted in with the hundred other things we’ve had to do. We also had to work around the weather. You can’t be mixing sand and cement in the rain! I think the part I enjoyed the most was going shopping on Thursday for the plants and stones. I’d saved my vouchers from Mother’s Day for just this occasion. We’ve left some holes in the brickwork at the front so we can put succulents in them and we’re going to get some more trailing plants to trail down down the front. I love how rustic it looks. We didn’t want a perfectly built wall with new bricks. We’ve used realy old bricks from Ant’s mum’s garden. It’s a crisis that simply can’t be ignored! There’s an epidemic of underused gardens all over the country, and it’s a crying shame. A lot of people seem to believe that their garden is nothing more than a patch of grass and a place to occasionally enjoy the sun for a few minutes before going back inside. Well, that’s not something that’s going to stand. Here, we’re going to take a look at all the fantastic ideas you can use as a bit of inspiration to create a garden that’s worth the space it takes up. It’s something that a lot of people bemoan from time to time. They feel like they’re surrounded by all the trappings of man and civilization and feel like they’re losing touch with the world of nature. It’s why so many people go hiking and camping. But you can lose that disconnect within the comfort of your own garden. Working on those green thumbs and cultivating your own bits of life is a big part of that. But even if you don’t want to, you can get closer to nature by creating a garden that serves as a great habitat for some local nature, too. 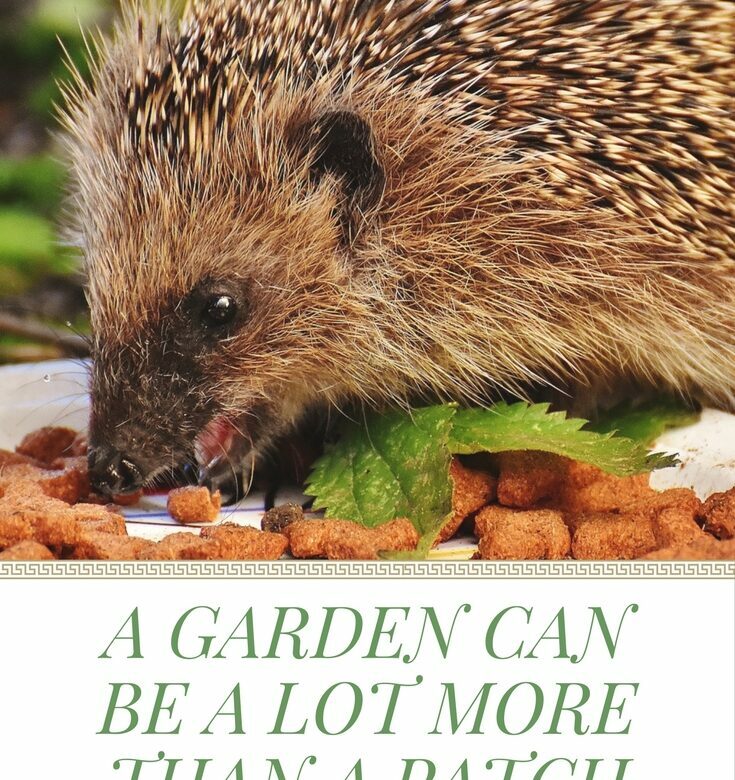 Whether it’s installing a pond that provides a great place for frogs to spawn or a hedgehog house to give our spiky friends a winter home, there’s a lot you can do to invite nature into your garden. You might like to get a little more use from your garden, yourself, never mind other creatures. It’s a habit that fell out of style big time, but now it’s coming back. More and more people are starting to grow their own food in their garden. There’s something to be said for the satisfaction of creating a meal that uses your own seasoning, never mind the money that can be saved on source truly the freshest ingredients on the market, plucking them straight from soil to pot. Perhaps you don’t want to do all that work, however. There’s nothing wrong with that, some would prefer a place they can relax in. Although it’s outdoors, your garden could serve as one of the most relaxing places of the home, insulated from the outside world. Adding some hedges instead of fences can give you some great soundproofing for the garden, for instance. Meanwhile, the sound of water features has proven the perfect touch to make gardens all the more relaxing. You don’t need to go to the huge effort of creating a livable space, either. Having a tidy place to keep some deck chairs or even to hang a hammock can give you just the amount of space you need to lie back and relax. When you have a rather full home or you’re used to having company, sometimes the house itself isn’t exactly the most relaxing space. If you want an area that’s a little more private, you don’t necessarily have to retreat to your bedroom. Instead, if you have space, why not consider the log cabins you can easily get fit in your garden? A summer house in your own garden can provide a great social hub when you have folks over, or it can be just the place to retreat to when you would like to do something like read a book or play some music without disturbing or being disturbed by the others in the house. Of course, if socializing if your main objective, then doing it indoors isn’t always the best option. Especially in the heat of summer, you want a place where you can safely and cleanly enjoy the weather while making sure everyone has somewhere comfortable to sit and enjoy a drink or a meal. To that end, creating livable space in the garden isn’t all that difficult. 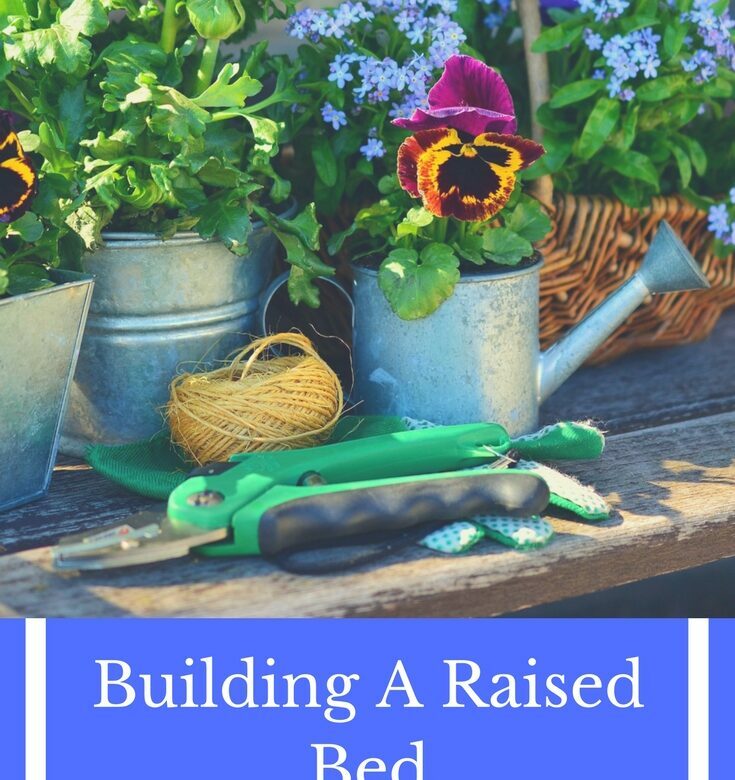 If you’re willing to get hands-on, DIY raised decking can cost you a lot less than options like getting a patio installed. From there, it’s all about choosing the décor for your outdoor space. It’s as much of a “room” as anywhere inside the home. It’s a good idea to get an awning for the home so that the area’s a little more protected from the elements on most days as well. Perhaps you’re not entirely bothered about how much time you actually spend in the garden. You might, however, see it as an opportunity to really show off your style to the world. Adding a bit of kerb appeal to the home isn’t just aesthetically pleasing, either. It can also add some genuine value to it, so if you were to ever consider selling, you might have a much easier time of it. Taking the time to add some vertical planters or to paint the front door and create a more welcoming entrance can really give the garden the look of the threshold of the home. When you think of spending time in the garden, the chances are that you’re imagining sunny summer and spring days. But some of us are more nocturnal creatures and the garden can be just as good for that. For instance, you can choose flowers perfect for a night garden like irises and lilies that seem to glow under the moonlight and the stars. But you can also make it a much more pleasing spot to enjoy the night by adding some external heating a little extra lighting. A garden can be the perfect place to spend on those clear, chilly nights just as summer’s starting to lead into autumn, enjoying earlier nights without having to go in earlier. Whether you love gardening, having a place to spend some time, or the idea of creating your own little ecosystem, the garden is the best place for it. Hopefully, the tips above help you fall in love with what your garden can be, not what it is right now. The weather this past week has been awesome! I’m actually quite surprised at how nice it’s been, what with a bank holiday weekend coming up. The weather people are telling me there’s more of this lovely sunshine to come so we’ve planned a BBQ and gardening party for the family. 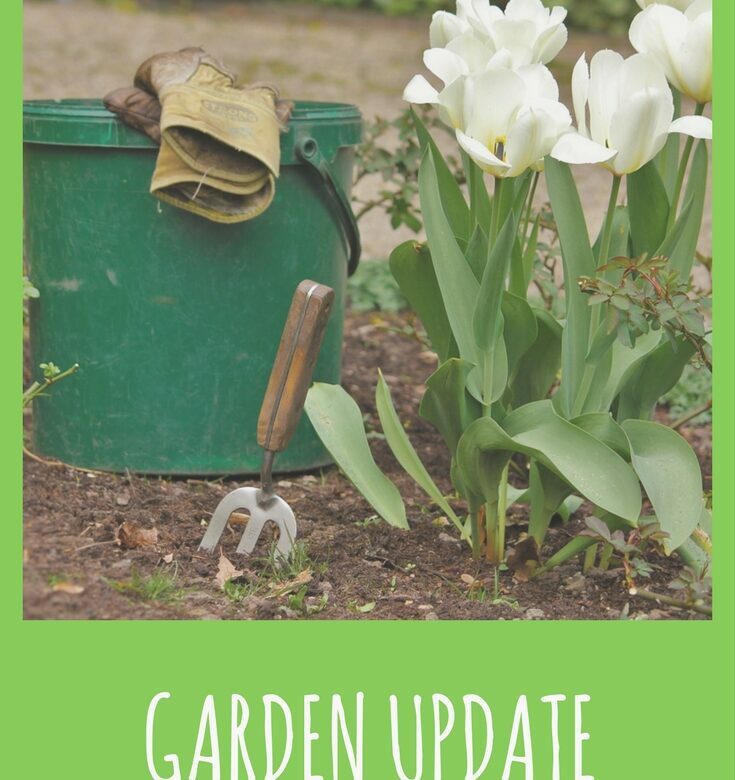 We have lots of work to do in the garden, as you may well know if you’ve been reading my garden updates and we need help. There’s too much to get done on our own. I figured if we fed and watered the family, they’d come and give us a hand! As well as all the bushes to dig up…. the top part of the garden seems to have been taken over by a bramble. I think it’s blackberry but I’m not 100% sure. It’s very sneaky, seemingly to have seeded itself and spread without our knowledge! Seriously, though, I was very surprised to see how big it is after only seeing a tiny plant just peeking through, last year! I dug some up when we were working up there on the shed and greenhouse but obviously I didn’t get it all. It’s going to be a big job to cut it back and dig it up and it’s one I’m not looking forward to at all. We have a peach tree that has some kind of infection. I believe it’s called peach leaf curl from what I’ve been able to find out on Google. I thought we were going to have to dig it up but it seems we can treat it in autumn using a fungicide spray. There are also 2 butterfly bushes to dig up. One of them was a Mother’s Day present some years ago. The other was a self-seeder that I ignored last year and is now just about taller than me! Ant had to turn the pump off for the stream a few months ago. I love it and really missed it. It was a lovely surprise when I went outside the other day to see it trickling away 🙂 Around this time last year, we bought 2 Tumbling Ted ground cover plants with my Tesco vouchers. They were tiny little things. The bees love it! There are always loads of them buzzing around the flowers. I’ve planted some parsley and mint today. The chives we have planted are flowering. I know you’re supposed to stop them flowering but we love the flowers. It’s still a right mess out there with what feels like a mountain of work to do but I’m not letting it get me down! We managed to get out in the garden for a while over the Easter weekend. Our first job is to make the raised bed so I dug over the former border. It used to look lovely before the grass and weeds took over. It had a hydrangea and lots of lilies as well as spring bulbs. The hydrangea ended up completely covered in long grass and the spring bulbs just didn’t come up again this year. I dug the hydrangea and spring bulbs up. I’m not replanting any of them as we’re having a complete change and I’ve gone off hydrangeas. I do want spring bulbs in front of the raised bed but I’m just going to buy new ones in the autumn. After I’d finished the digging I started giving the fence panels a coat of paint. We needed to get them done before we started the building. Ant made a start on building the raised bed and before he could get much done, rain stopped play!